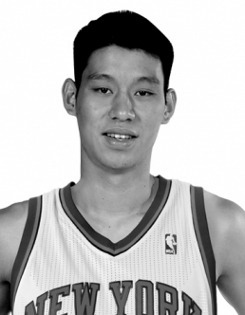 The first American-born player of Taiwanese descent, he was let go first by the Golden State Warriors and then the Houston Rockets. The New York Knicks brought him on board in 2011 as a third-string point guard, but with Baron Davis out due to injury and the team playing poorly, Lin surprised the basketball world by scoring 25 points in the 4 February 2012 game against the New Jersey Nets. Thus began a winning streak of 7 games in which Lin played very well, which spawned a cottage industry of puntrocity, including "Linsanity", "Linspiration", and "Super Lintendo."